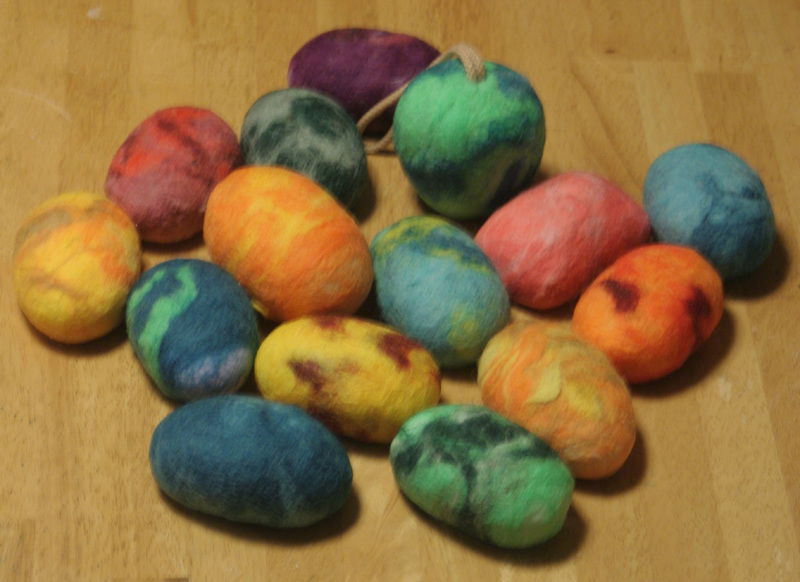 Today was a wet felting day. 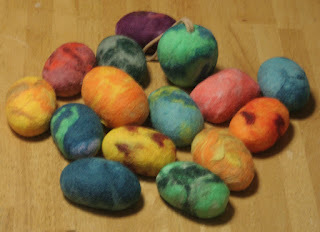 These are the soaps I felted in jewel tones. The boy helped me lay out the colors for most of them. He does such a good job; I like his colors and combinations better than my own.